The suburb of Five Dock initially fell under the Haberfield Parish. By 1919, the population of Five Dock had grown to a point where it could sustain it’s own parish, priest and school. On the 19th December, 1919, the Five Dock portion of Haberfield Parish detached and Five Dock Parish was created. Father John Peoples was appointed as the first parish priest. On the 21st December, 1919, the first mass in the parish was celebrated – not in a church but in a picture theatre called Chelmsford Hall on Great North road. Seventy two people attended that first mass. Due to renovations at Chelmsford Hall, masses were moved to the Chapel of Domremy convent pending the construction of the first church of All Hallows. It was decided that the first church building would also serve as a school, as was the case in many Sydney parishes of the time. 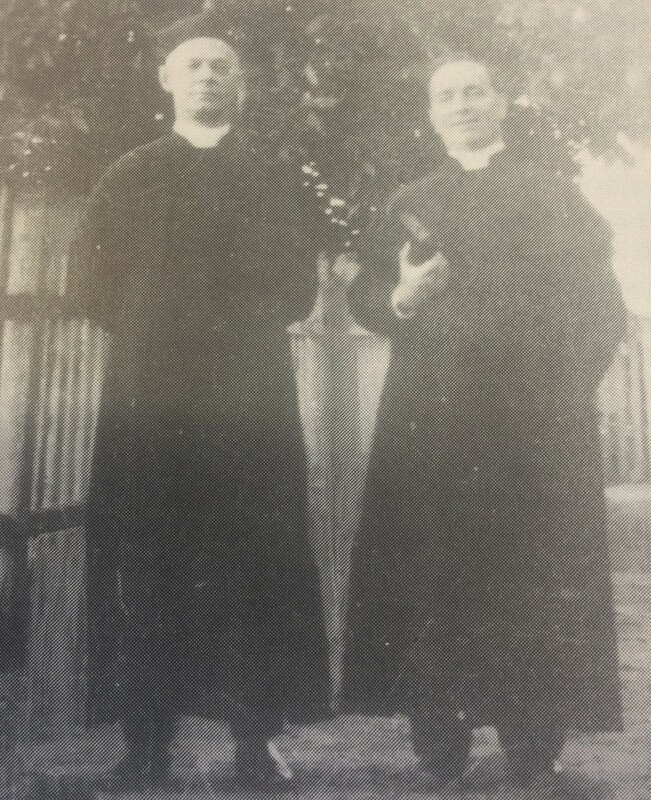 On the 17th October 1920, the Foundation stone of the new church-school was blessed and laid by Monsignor Moynagh. In 1921, the new church-school, though not completely finished as it was missing a roof for some time, was used to celebrate mass as the Church of All Hallows. The original building was unusual for it’s day as it had a two-story construction, the top being used as the parish school. In 1933, Father Peoples requested permission to extend the church-school which the Cathedral granted. 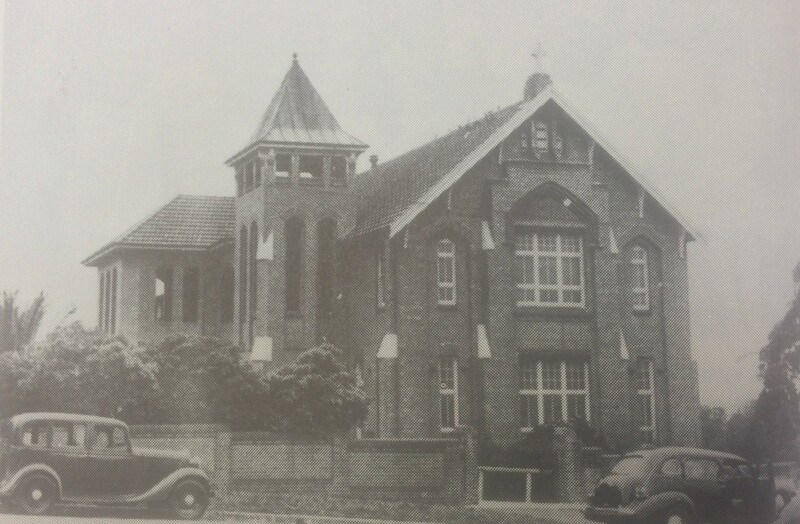 On 16th September 1934, His Grace Archbishop Kelly blessed and opened the new church-school extensions. In December 1958, Father Peoples received the title of Monsignor for his work and dedication to the church of All Hallows and it’s parishioners. The congregation continued to grow and Monsignor Peoples realised that a new, larger church needed to be built. He gained the Cardinal’s approval and soon began to plan the new church. The new church building was designed in the form of a cross. The churches highly elevated position made it a prominent landmark over the surrounding suburbs, particularly with the tower on the western corner on which stands the cross. 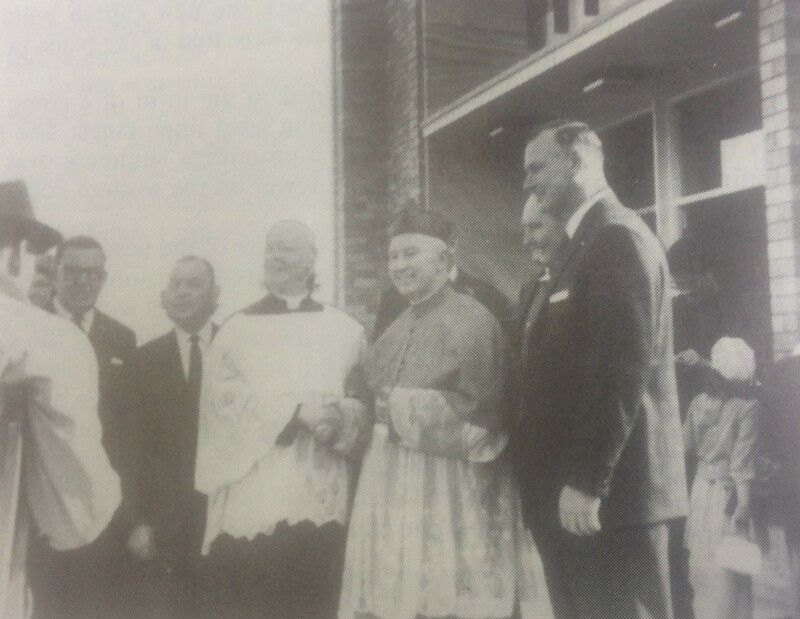 On the 21st July, 1963, His Eminence Cardinal Gilroy blessed and opened the new All Hallows Church. All Hallows Church, July 1963. After the blessing and opening, Cardinal Gilroy congratulates Monsignor Peoples. Monsignor John Peoples died in 1977 and Father Michael Kelly was appointed as the new parish priest of All Hallows in 1978. He remained parish priest until 1997, when Father Marco Battaglia became the third parish priest at All Hallows. Father Marco Battaglia undertook a refurbishment of the church which was completed in 2001. In 2002, Father Robert Hayes became the new parish priest at All Hallows, followed by Father Greg McGregor in 2013. In 2018, Father Matthew Solomon became the administrator at All Hallows, taking over from Father Greg McGregor. Excerpts and pictures taken from “A History of All Hallows’ Parish 1919 – 1986” by Gabrielle Johnstone and Kerry Myers.